Perhaps you’re tired of paying for apps, or maybe you just want to save some money up for the next big device purchase – we’ve got a great infographic to help you get started. 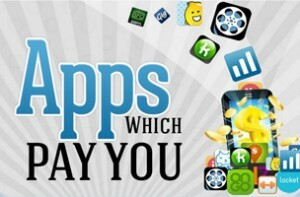 Below, you’ll find 15 apps that will help you earn some cash. They range from exercise apps to sports apps. If you don’t like exercise, there’s also quite a few that will let you earn money simply by watching ads or taking polls. There’s something for everyone.